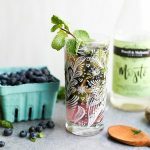 Add the blueberries, mint, lime wedge and ginger root to a tall glass. Muddle until fragrant and most of the blueberries have been broken down. 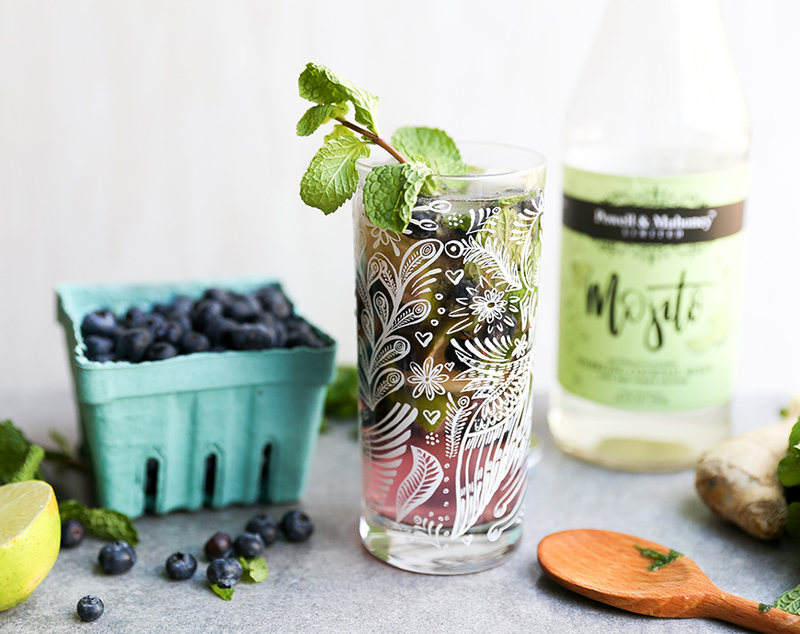 Pour in the P&M Sparkling Mojito and white rum. Garnish with fresh mint, if desired.